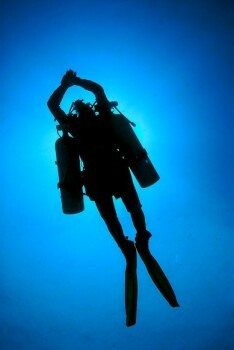 Sidemount diving is configuring the diver’s cylinders under the diver’s arms, rather than on the back. This configuration is well suited to a lot of different environments and implies excellent advantages for divers with limited mobility that prefer sidemount over wearing back mounted cylinders. Sidemount is also popular for cave diving and single cylinders are easier to haul when divers must carry gear through rough terrain to the water’s edge. Adjustability: enhance your streamlining and body position while better controlling environmental contact. Access: easy access to the regulator first stage(s) and tank valve(s) which are positioned in front of you instead of behind you. Back relief: by mounting cylinder(s) on their sides. Maximize time: a comfortable option to increase air supply and maximize bottom time; especially when using enriched air (nitrox). Redundant gas supply and delivery system: handle a low or out-of-gas problem by switching to the second cylinder; handle a regulator failure by switching to the second regulator. 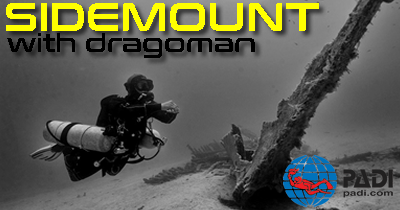 Here at Dragoman we conduct our PADI Sidemount Courses with Apeks Sidemount Regulator Systems and Apeks WSX-25 Sidemound Harness Systems.